One of the most useful and life-saving skills for parents is first aid. Local Mum Jenni is using 12 years of hands-on emergency experience and training to provide first aid classes in our area. This is the question asked by Jenni, Carshalton Mum of three, who has recently set up her business��Daisy First Aid�providing first aid classes for parents and carers. As well as receiving extensive first aid training from the Metropolitan Police Service and St Johns Ambulance and being fully trained to HSE standard, Jenni has exceeded this training by �completing an additional FAAW and Paediatric certification with St Johns Ambulance. The content of Jenni's classes are in line with current guidelines published by the Resuscitation Council (UK) and the current edition of the first-aid manual of the Voluntary Aid Societies (St John Ambulance, BritishRed Cross, St Andrew’s First Aid) as recommended by HSE. This complies with the requirements of the Health and Safety (First-Aid) Regulations 1981. Daisy First Aid�classes can be hosted in the comfort of your own home or you can book onto one of Jenni's affordable Surrey-based classes. 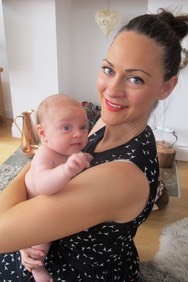 �"As a busy mum I understand the pressure of family life," says Jenni. "So these classes can be tailored to suit your needs. Weekend and evening classes are available." If you would like some training in the hugely important area of first aid, why not give Local Mum Jenni a call?